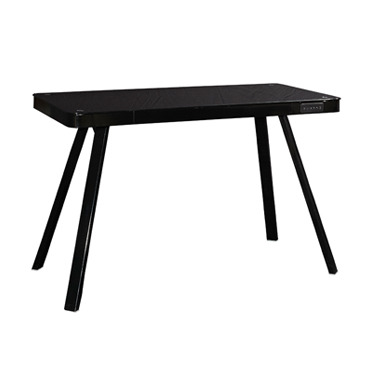 Technology and contemporary style merge in the trend-setting Lynk Desk. The tempered black glass top with rounded corners and glossy black metal legs will perfectly match all your favorite tech gear. Loaded with function, this desk offers wire management, and a headphone jack and USB port in the front of the desk for easy access. Stream your music effortlessly as you pair your device to the wireless bluetooth enabled inset speakers under the desk.